Video is an excellent reliable witness, especially in the dark of night and in remote spots where you don’t have any feet on the ground. While the presence of a video camera is a helpful deterrent to criminal activities, the actual video footage captured can assist with investigation, evidence, prosecution, and frequently even convictions. Imagine relying on a device like Mobile Pro’s Defender 6000, a camera pod security system that acts as your eyes on the job-site. With 24/7 live video streaming capabilities, professional video recording system, and motion detectors protecting a 40+ foot radius with PIR (Passive Infrared) detectors, it’s the next best thing to being there. It’s hard to argue with video documentation, but of course, lawyers do. Mobile Pro products use the highest level of resolution and the lowest light cameras to ensure that recorded imagery provides the most identifiable video possible. The Defender 6000 uses an 8MP multi-camera array to provide a 180˚panoramic view of the area. Is Technology Superior to Human Observation? Even Scientific American magazine is of two minds in the matter: They published an article titled Why Science Tells Us Not to Rely on Eyewitness Accounts in 2010, only to follow it up in 2017 with an article titled Eyewitness Memory Is a Lot More Reliable Than You Think. Bottom line: High-quality video footage is a tremendously useful tool in fighting vandalism, theft, and even employee mischief. Current technology, like that of Mobile Pro’s Defender 6000, delivers more than just video footage, it offers a defense to your property. We also provide the ability to set up and manage notifications that can be displayed on the monitor or sent immediately to email and SMS. This way, you stay notified of your system’s operational status, along with unwanted access to your site through motion detectors and video alarms. Remote video access also allows users to search through historical video, and capture and send recorded video. Alarms and notifications can also be managed remotely. A properly administered video camera security system doesn’t take breaks or vacation, require a paycheck or doze off on the job. If you’re ready to boost your peace of mind and protect expensive equipment and property. Placing the Defender 6000 at a site can provide an effective defense against unwanted activities at the location. The system uses both infrared and video motion detection to sense if someone is within the protected area. Once motion is detected, the system issues several deterrence methods, including flooding the area with light, flashing strobes and audio messages. As the event is being processed, snapshots and other information are being collected and sent for video validation to determine if additional action needs to be taken. 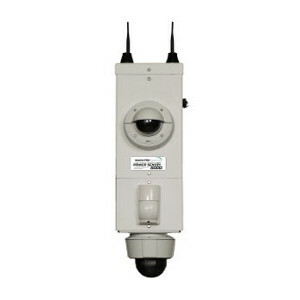 Contact Mobile Pro Systems to learn how our automated camera surveillance can contribute to your security.